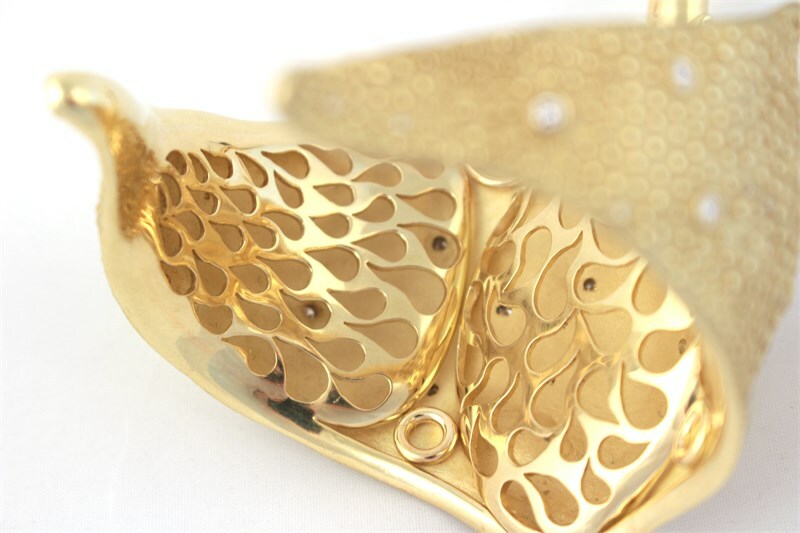 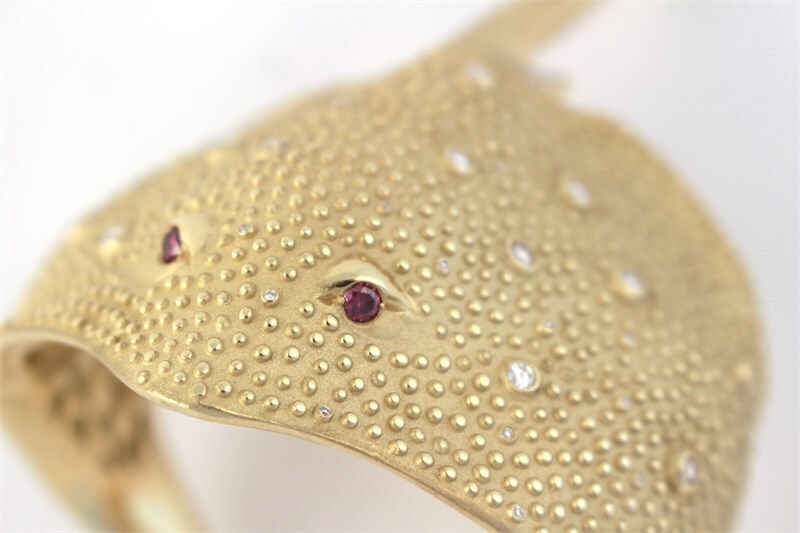 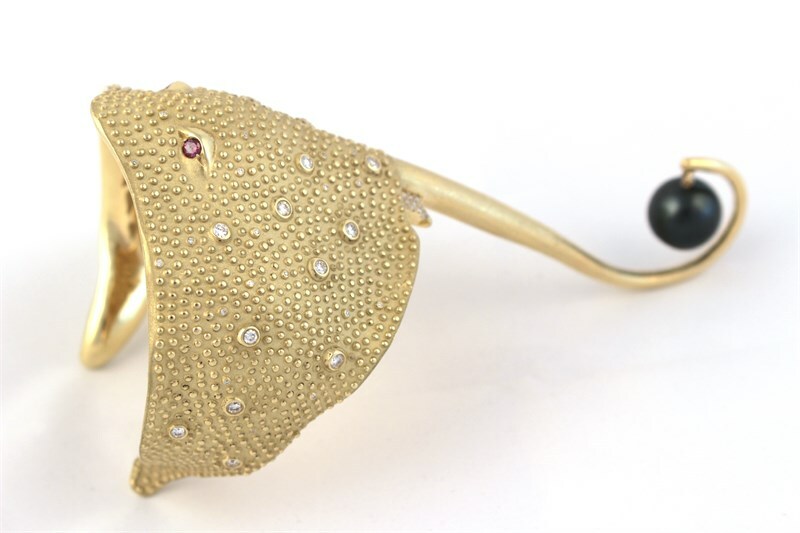 The ethereal 18 karat gold Stingray cuff bracelet features 1.64 carat bezel set diamonds and .24 carat purple diamond eyes. 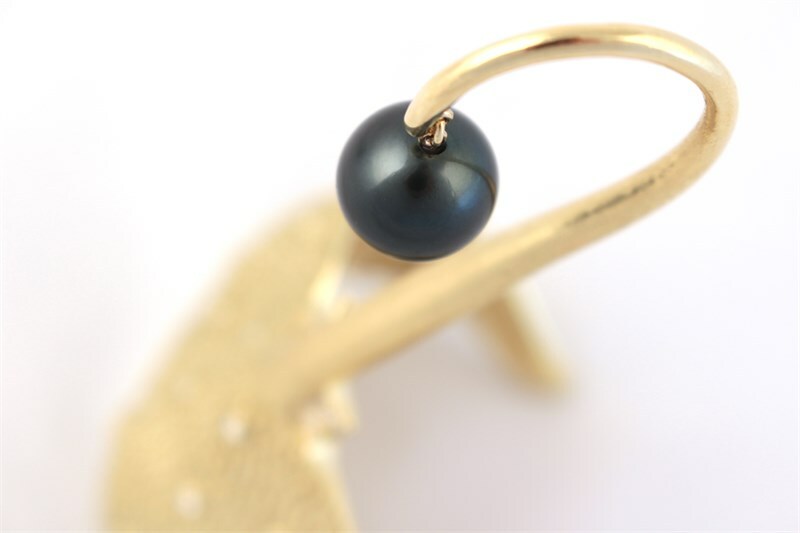 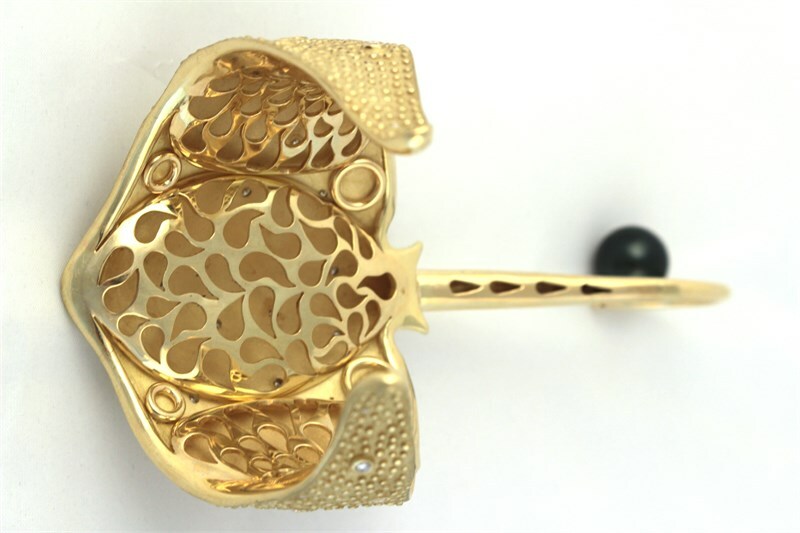 The 14.31 mm Tahitian Pearl suspended from the tail has wonderful coloration and a beautiful lustrous glow. 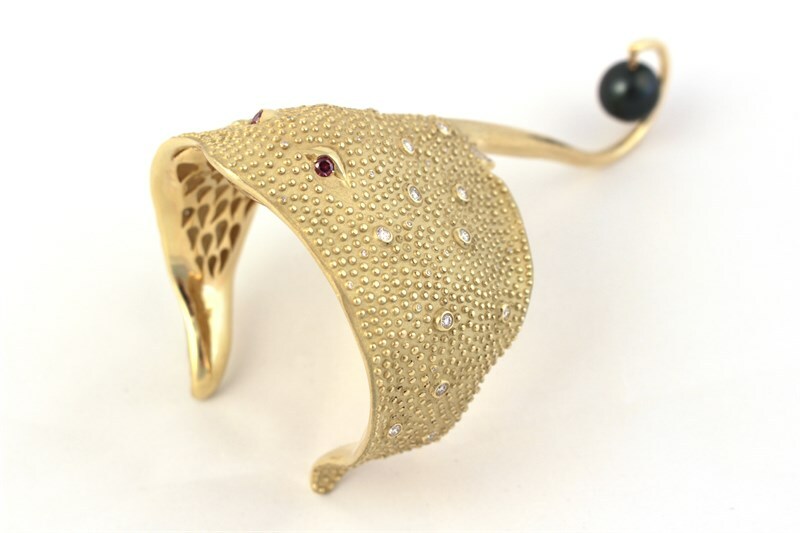 This fantastic bracelet has a magical presence and is a fantastic statement piece.